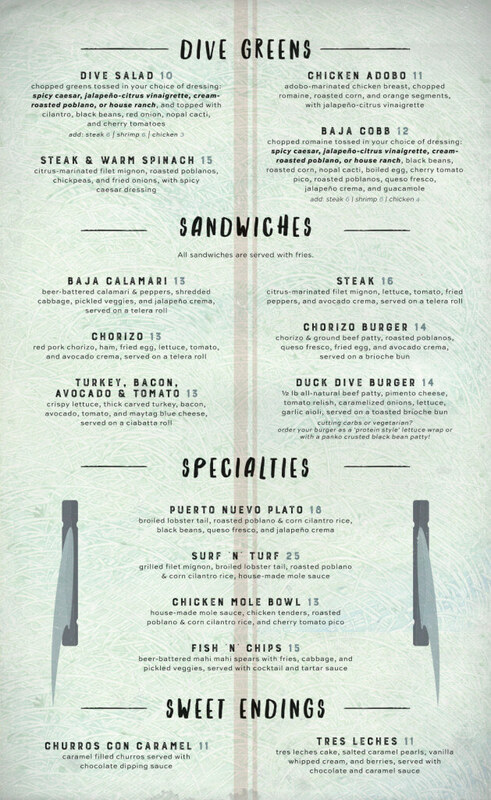 The Duck Dive in Pacific Beach (4650 Mission Blvd) may not be the ideal place to take your Mom on Mother’s Day, unless she’s truly young at heart, prefers a youthful crowd, and appreciates the deliciousness of duck fat. 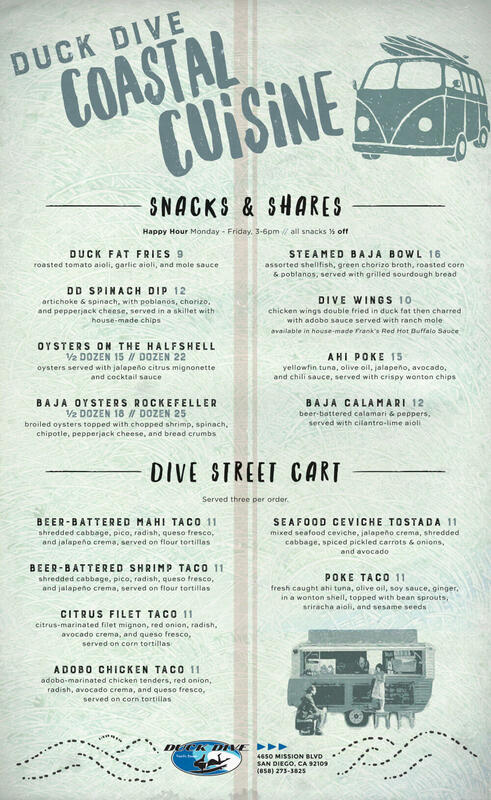 As I scanned over The Duck Dive’s newly updated menu, I noticed a theme — duck fat. No worries — not everything on the menu has to do with duck fat, but two of my favorite nibbles did! Chicken Wings, double fried in duck fat. It’s official — duck fat is delicious. Maybe I’ve had it before, but I don’t recall. Regardless, I’ll never forget The Duck Dive, and whenever I have a hankering for phenomenal hot wings in San Diego, I’m going to Duck Dive. It’s rare to find hot wings that I rave about — and after many years of searching, I’ve found my new favorite hot wings. And it doesn’t hurt that I can chow down and then take a walk on the beach. 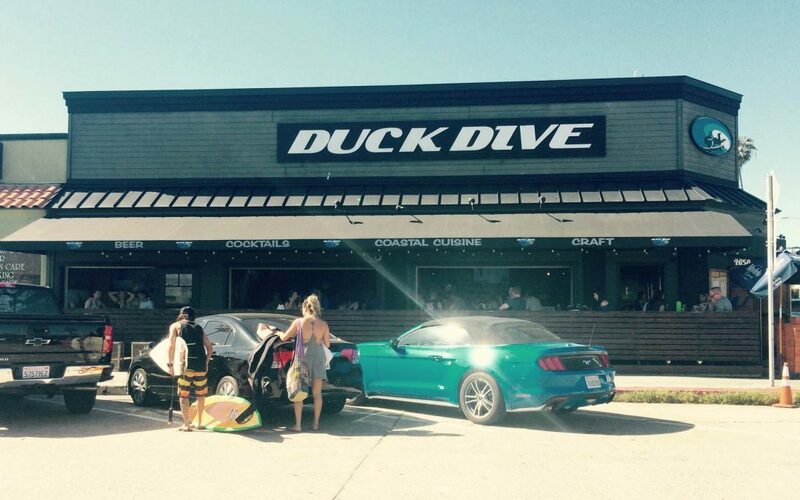 Now, Duck Dive is also known for burgers, beer, being a block from the beach, and an epic Surf-n-Turf plate. My first plate at Duck Dive was their Surf-n-Turf which comes with delectable cilantro infused rice. The grilled filet mignon was as tender and soft as I could have wished for, and it bursts with flavor, so much flavor, that you just want to keep chewing… and chewing… and chewing. I was too full for burgers and beer, but I’ll be back. You can visit The Duck Dive, 7 days a week. You’ll surely enjoy the aromatic Pacific Beach breezes because the entire restaurant is surrounded by open walls! Yes. You must be 21.